Industrial Marketing Management is the world's leading journal providing theoretical, empirical and case-based research geared to the needs of marketing scholars and practitioners researching and working in industrial and business-to-business markets. Rather than using a subjective method to determine the best article, the journal let its readers tell them which they considered the best article by measuring the number of times the article was downloaded during the year 2017. 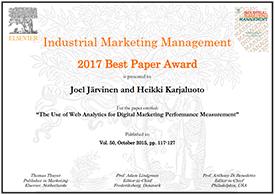 For the Outstanding Article 2017 award, Industrial Marketing Management considered articles published between 2013 and 2017. The article by Mero (née Järvinen) and Karjaluoto was published 2015 and received an impressive 6.961 downloads. - This is a great honour to our research group. The prize supports our impression on us being in the forefront of the digital marketing research in the world. 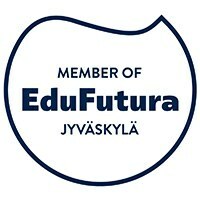 We in Jyväskylä have succeeded in building a notable digital marketing research community - even on a global scale. We have, for example, the only research group in Finland that focuses on digital marketing and communication. 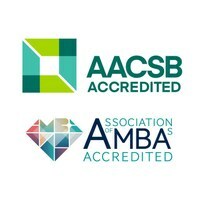 We also are the only school of economics and business administration in Finland that has an own degree programme focused on digital marketing and communication: Digital Marketing and Corporate Communication (DMCC) is an international Master’s Degree Programme, states the Head of Marketing and the leader of the research group, Heikki Karjaluoto. - For the next three years we get reinforcement to our research group, when one of the world's leading marketing researchers, Marketing Professor P.K. Kannan (The University of Maryland) joins us as a part-time professor, adds Karjaluoto. - The impact of research is a significant issue to me - and for that reason the recognition warms the heart greatly. I think that the number of readers of the article proves that we have our finger on the pulse of marketing science and we are able to steer the scientific debate to the topics that are business economically significant. The strength of our research group is that we carry out scientifically high-quality research that profits the business policy-makers, too. Linking the theoretical and empirical perspectives enables both close cooperation with enterprises, and providing very high-quality degree programmes, of which DMCC is the "flagship". I believe that we have one of the most high-quality digital marketing and corporate communication Master's programmes in the world, says D.Sc. (Econ.) Mero.